Mani Agrawal - Random musings! An unintended journey that ended up changing my life in more ways than I could imagine. A journey, I think, worth sharing to many who desire to learn second or third or more languages. In the following, rather long, post I would like to share my passage, the good, the bad, what worked and what did not. Hope some of this may find a use in your own journey of becoming a polyglot. Tango! This was my introduction to the world of Latin lifestyle, music and the culture. Over years it became my passion. A slow simmering desire to learn the language of Tango – Spanish – was taking hold. It became a blaze when I started learning the second Latin dance – Salsa. At that moment I knew that I want to travel, get better at dancing and immerse myself in the culture. However, it was not to happen for many more years due to this thing called work (my other passion). The second fascinating aspect of Spanish was the economy of Americas. The Spanish speaking block – Mexico, and South/Central America – even if we not count USA and Brazil holds an enormous economic potential. This also fed into my ever-present wanderlust. I had to experience the Spanish speaking world up close and personally. More than what I had encountered in the past. During these intervening years (or should I say decade+), I bought many Spanish language learning books and had too many false starts that I stopped counting. The discipline to learn Spanish never converged with the intensity of desire. My command of the language hovered around fragmented words like Ola, Taco and Burrito. It was 2012, July to be precise, I decided to take a mini sabbatical to Mexico and Central America. Guatemala seemed like a good place to start. I had seen pictures of Lake Atitlan and it looked magical (Just like all Apple products). Day one in Antigua, Guatemala and I was hooked. The cobblestone streets dotted with cafes, language schools, restaurants and bars. People spoke enough English so I could get by but it seemed like the perfect setting for finally learning Spanish. Next to the place I stayed was a small language school (that no longer exists). A small entrance that opened into a Spanish courtyard with a lone tree that had seen better days. Few small desks that reminded me of restaurants in Paris and two chairs on either side of them scattered around the courtyard. Each desk had one of the smallest whiteboard known to man kind that barely supported the weight of two drying markers and a rag cloth to wipe it clean as if it was possible. The manager of the school, Eric, was someone I developed an instant liking for. A short fellow with protruding belly, spoke fluent English, with an effervescent all knowing smile. He knew people like me who fell in love with Antigua and wanted to learn Spanish. He knew just the type of teacher and the manner of teaching that will work for a new student. He suggested 4 hour one-on-one classes for five days a week (Which later turned out to be the standard formula for all the schools in Guatemala). With a so-called home-stay and meals it was $165/week. Moreover, I could cancel any time. A better deal than my hotel alone. Needless to say, I signed up. Aura, a typical Guatemalan lady with a big smile, walks up to me at the school and in a loud voice says, “Cómo estás, Mani” and continues talking in Spanish what seemed like eternity. I was lost from the first sentence. Finally, she stops talking, smiles and says in English, “Let’s go to that table, we will start but we would not need any of these books and other material given by the school.” And, my Spanish classes finally started. I had serious reservations about 4 hour classes. But, Aura made it like talking to a friend over coffee with occasional words and diagrams drawn on tiny whiteboard. Hours and days went by and I had no idea if I was learning anything but I was having fun. I refused to do any home work or follow any book. I simply went around town and talked in my broken Spanish with everyone – the shop owners, cafes, even kids at Parque Central. People seem to love it and don’t know how but they understood what I was saying. May be they were just being nice, I thought. It was almost 4 weeks with this 4 hour class routine. I was getting bit bored and have not yet seen Lake Atitlan. So, decided to visit it coming week. Guess Spanish classes will have to wait. My Spanish school guys were very supportive. Eric and Aura even encouraged taking a break. What a sight, I could not believe my eyes how beautiful the lake was. Huge lake surrounded by range of mountains some of them volcanic. Chilled out vibe, boutique cafes which all can be summed in two streets. I found a hotel on the lake and booked it for a month. I was going to call Eric and tell him that Spanish classes will have to wait. Next day, I saw a small Spanish school on the other end of the street. Thought, why not continue taking classes here. So, went up (yes, it was on a hill) to the school and talked to the owner of the school, in Spanish, that I would like to take classes and that I was a beginner. The owner of the school was looking at me with a bemused smile all this time and finally asked, “How long have you studied Spanish in Antigua?” “Por lo quatro Semana,” I replied. He smiled broadened and said you need to go back to your school and teacher in Antigua. Apparently, I had talked to him Spanish for over half an hour and made very few mistakes. Wow! This was an eye opener for me. I could speak in Spanish! Called Aura and thanked her. She laughed over phone and said that she knew it all along. She told me to by a newspaper every day, get a dictionary and go around talk to locals the way I did in Antigua. Needless to say that rest of the month was just fun. Lot more stories to share but another time. I went back to Antigua, after one month and continued my classes for two more weeks – Subjuntivos! I could now say anything with actually meaning it ;) Loved them. Next 6 months were fun traveling across rest of Central America. My next favorite spot was Grenada in Nicaragua. I rented a room at a boutique hotel run by an old couple. Every evening I will sit with them in their front lawn and share stories. All in Spanish of course. They will often correct my Spanish and show better way of saying something and help with figuring out the newspaper. It was 2013, time to end the vacation. I was excited. The trip was a success. I was speaking Spanish now, reading newspapers and bought my first Spanish language novel – El Alquimista by Paulo Coelho. 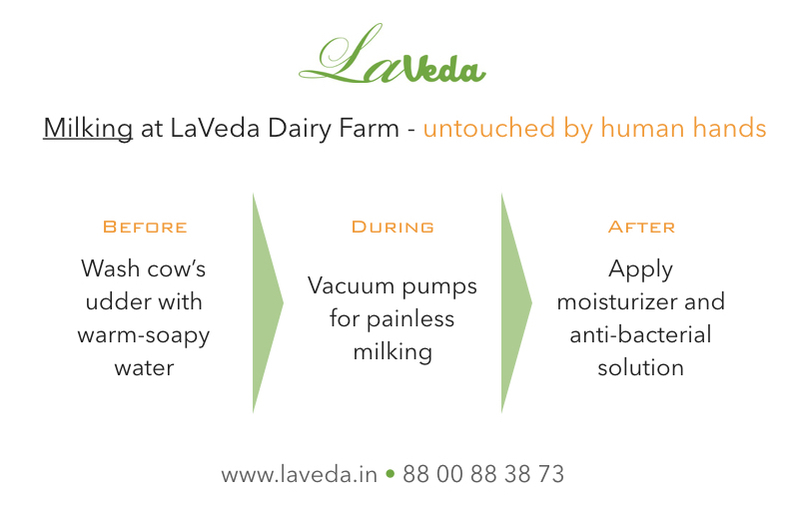 The next 5-6 years, I found myself back in the working mode – trying to rationalize the organic milk industry in India. The Spanish book was relegated to the bottom of the suitcase and never to be opened, no (OK, almost none) Tango. The life was surrounded by the Jaat and Gujjar culture and a new language that I neither understood or cared to learn. While I liked the work in the back of my mind I was devastated about the loss of the Spanish abilities. The time to came to leave India and go back to US. I made a decision — Have to go back to Antigua one more time and relearn the language. This time I have to keep it alive. November 1st week. The date was fixed. I called Eric and he told me that school was closed. Oh no! how was I going to learn Spanish again. He promised to help and pull together my old teacher and a place to learn. It was one dreaded week. But then magic. It all started coming back. I was once gain speaking in Spanish. This time better than in the past. I finished the book in one week with less than 2,000 unknown words (Yes, I highlighted all the words I did not know). The conversations, reading and watching Spanish TV – it all came roaring back to life. Life is amazing! One-on-one classes — works like a charm. This was my primary source of learning. I was reading, writing, speaking from day one. Flash cards (paper and on mobile) — Waste of time. It took too long to make few and too boring to follow through. I lasted a total of 3-4 days. Speaking — This was fun. Talking to people with my broken Spanish led to many hilarious moments. People often corrected what I was saying and taught many subtle rules of grammar and words including slangs. Somewhere in this journey I lost all fear of the language and started enjoying it. That helped. Language somehow came with out an explicit effort or rote memorization. Wish I knew better how it happened but it did. The biggest lesson of all this — don’t walk away from the language. There are always movies, books, people who speak the language. Just have fun with the language and don’t forget why you wanted to learn it in the first place. Should we (humans) drink milk? Yesterday, a friend argued that we, humans, should not drink Cow’s (or for that matter milk from any animal) milk. Her logic was that if humans needed milk beyond an age (say a year or two) then nature would have given human females ability to produce milk as they do after giving birth. A point that I had never come across before! 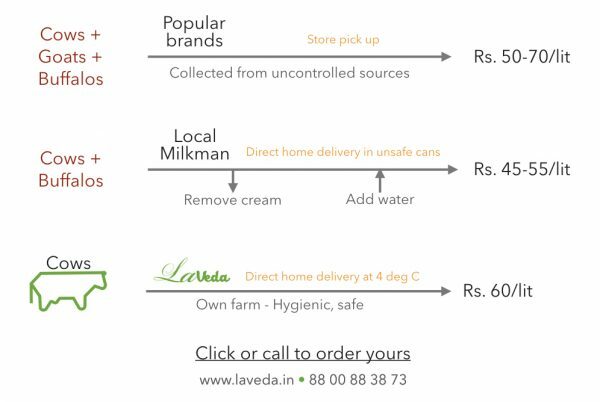 It made me think, should we drink milk and in my case LaVeda Cow’s milk? A sleepless night then it hit me. If we take her argument to the extreme i.e., eat/drink only what is readily provided by the nature. We should be able to take it without any special tools like a knife and consume without any alterations like cooking. If that is the case then just about anything except few fruits and vegetables should not be consumed. After all, that is what is naturally given to us. I am sure this would be just fine and some one must have come up with a diet plan by now.